Cricket is not just a sport in India, it is a religion in itself. Indian cricket is something that brings the whole nation of a billion people together. Moreover, Indian cricket has always had an excellent team and some of the most legendary players of the game. Indian Cricketers have always performed and made us immensely proud of them. Some of the Indian cricketers have even become more famous than movie stars. However, there have been a number of unheard stories of Indian cricket. The unheard stories of Indian cricket include Virat Kohli being pranked. Apparently before Virat Kohli’s debut match, the official pranksters of the Indian cricket team and famous cricketers, Harbhajan Singh and Yuvraj pranked Virat. A nervous Kohli was trying to calm himself and gain composure when Harbhajan and Yuvraj approached him. They told him that it was a tradition for every newcomer to touch Sachin Tendulkar’s feet. Kohli oblivious to the prank, faithfully obliged. 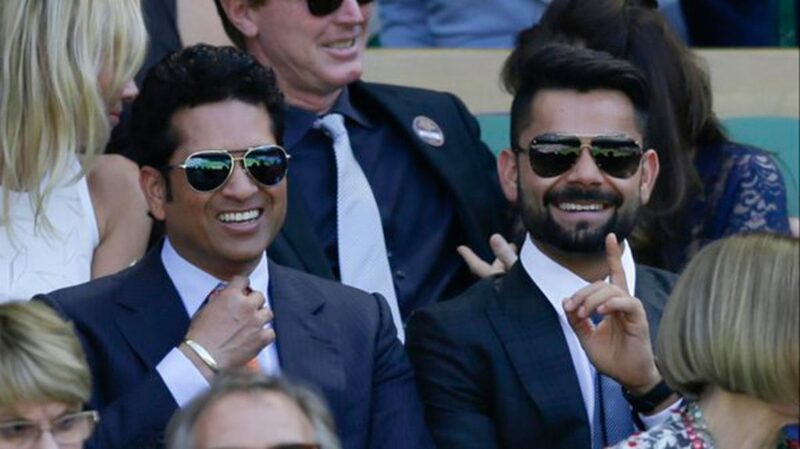 So, when Kohli was just about to touch Sachin’s feet, the master-blaster asked him if he wanted something. After hearing Virat’s story, he quickly realized the reality and explained him the same. We all must have observed at some point or the other that despite the fearless batsmen Virender Sehwag’s ferocity and class, he often gets out playing bad shots on poor deliveries. Noticing this behavior, the then coach John Wright conveyed a very strong message to Viru about not getting out in the same fashion again. But, Sehwag didn’t take the threat seriously and got out playing a silly shot. That’s when coach Wright lost his temper and stormed into the dressing room. He grabbed Sehwag by the collar, shook him vehemently and scolded him. Thankfully Viru took it in a good spirit and promised to improve in the upcoming games. The unheard stories of Indian cricket include Yuvraj Singh being pranked. Before gaining the title of the prankster, Yuvraj Singh too had his leg pulled as a debutant. It was just the previous night before his first match, that Yuvi was approached by the captain Saurav Ganguly. He asked Yuvraj if he was comfortable opening the innings (that is to go as the first batsman to bat). Being his first match, Yuvi didn’t want to be perceived as incapable of opening. So, only out of sheer bravado he agreed to the captain’s wish. Internally the young cricketer was growing restless and had to take pills to be able to sleep. But, fortunately for Yuvi, the following morning, Ganguly assured him that he was only joking. This incident is one of the most interesting and unheard cricket stories. It occurred as a result of another prank in the history of Indian cricket. Yuvraj Singh decided that it was revenge time, and convinced the other team members to join him. So, during a routine meeting, as usual, Indian cricket team captain, Saurav Ganguly came in the room. The team members handed him a copy of a newspaper with an interview of Ganguly, where he had made some bad comments about his fellow teammates. Actually, the newspaper was fake and was prepared by Yuvi. Saurav being unaware, explained that he had made no such comments. But, cricketers Ashish Nehra and Harbhajan Singh pretended to be furious and left the room. A devastated Ganguly was left teary-eyed and offered to resign. Finally, Rahul Dravid realizing the matter was going beyond a limit, told him the truth. So, Ganguly literally picked up a bat and chased after all of them! There are many untold cricket stories. This incident took place during the 1990’s when there were many speculations regarding match-fixing. The little master Sachin Tendulkar feared that one of their matches were fixed. He conveyed this message to the captain Saurav Ganguly. Hence, both of them decided that they themselves will decide the fate of the match. Promoting themselves up the order, both Sachin and Ganguly played great innings and both scored a century. Thus, India won the game without any hassles. Our indian cricket team has hidden many cricket secrets that the world is unaware about! These are just few of the many unheard stories of Indian cricket.